My Mocha is not feeling well. I just noticed he is not eating this morning. He just sits quite at one corner, doesn’t make any move. Not even twitching his nose. Normally when i refill the hay rack, all the bunnies will greet me at their door. But not Mocha today. I took him out and put him in the playpen. 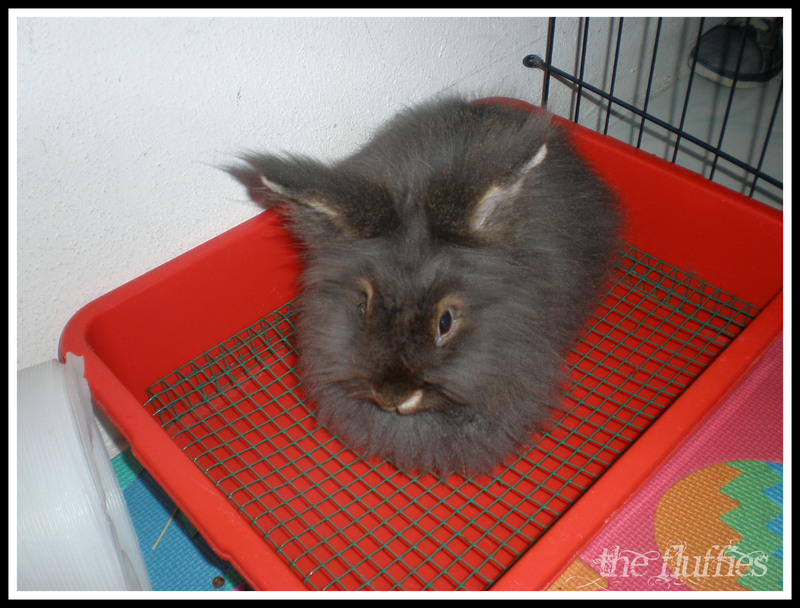 But he just sat quiet on littertray until i moved him back to the cage. No poops in the playpen’s littertray. This is really not a good sign. 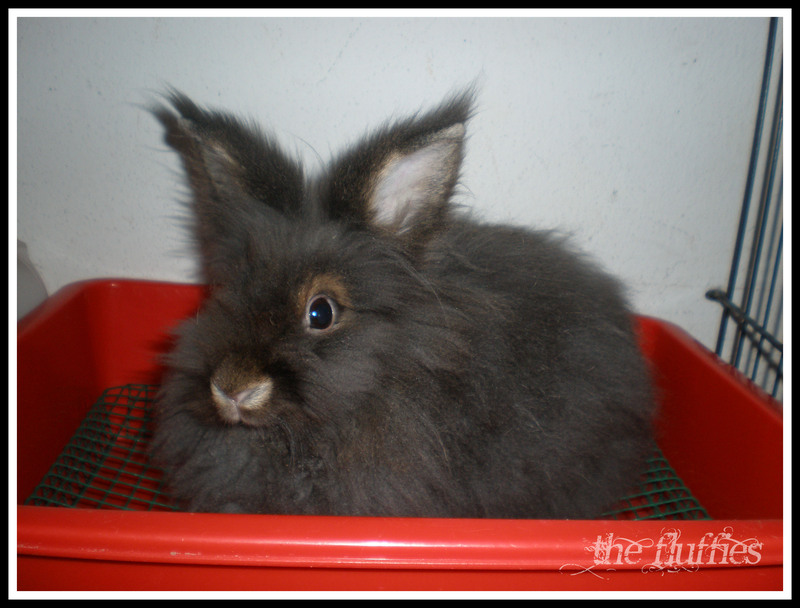 I offered him a slice of papaya and his favourite treat, Show Rabbit Feed. He shows no interest. He ignored his favourite raisin too. No hard tummy. I took him close and listened to his tummy. Some gurgly sound. Stomach upset? Gas maybe? Luckily we already have the Simethicone in hands. I gave 1ml of RidWind Simethicone at 9am just now. Not forgetting 1.5cm of Benebac Probiotic and a few pumps of Oxbow Critical care. I’m supposed to feed him another doses os Simethicone at 10am and 11 am. But i have to go to work. So i’ll come back during lunch time to feed the medicine again. Mickybell is doing a great job, grooming and licking Mocha’s face. Giving some moral support for his brother’s speed recovery i guess. Mommy is soooo worry. Please get well soon, baby..
Our Meowmy is organising a one-day CAT SPEUTERING (Spay + Neuter) DAY for her friends in Facebook. 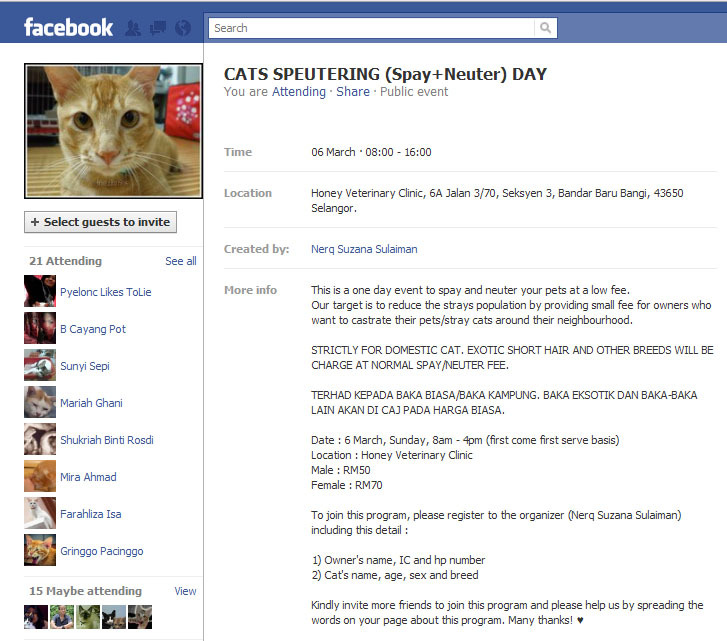 The program will be held on 6 March 2011 at the vet clinic in Bangi, where is far away for us to participate and meet our purrrriends out there. Dr Nurul & Dr Joe from Honey Veterinary Clinic are so kind to speuter all the domestic cats with low castration fee. RM 50 for male, RM70 for female. Terrific huh! Meowmy said, I and my brother Bellack will be neutered on the same day in Penang. What? Pffttttt! !